Home » 当社について » ブログ » How lucky to be an affiliate in June! How lucky to be an affiliate in June! If you are an affiliate marketer June is THE month for you! First off, Charles Ngo has released his ‘Ultimate Guide To Affiliate Marketing’ e book which is packed with in depth tips and latest trends to help guide you through the affiliate world. Whether you are a newbie or seasoned affiliate this guide is from the affiliate guru Charles himself, so you are bound to learn a lot. It gives an in depth, update look on getting the best traffic sources and making them work for you. It’s totally free to download from here. June suddenly got a bit brighter right? So you can read Charles’ tips while on the plane to Berlin, because Affiliate World Europe kicks off on the 14-15 June. Each year keeps getting better and better and you are going to learn so much about your business, meet old friends and make new ones. ExoClick is attending. We will be at booth B1, just by the beer garden (that’s handy ). Find out about our automization features: RTB, platform API and our landing page optimization algorithm. We want to tell you about our native advertising widget and exclusive traffic channels. So, pop by for a chat. 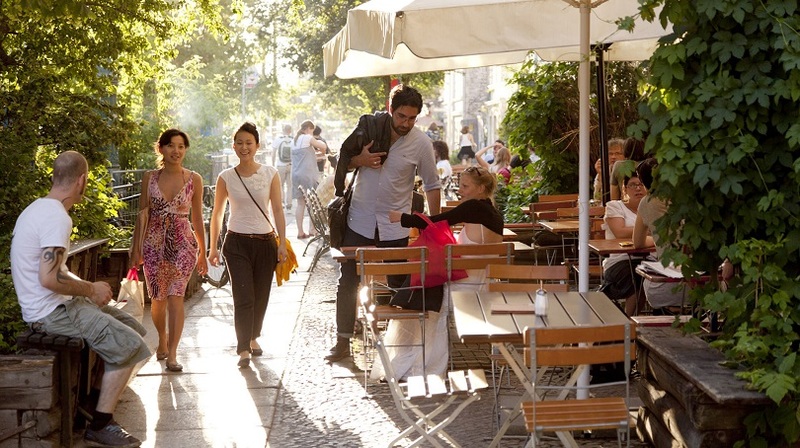 It’s a few days from summer and Berlin is spectacularly beautiful at this time of year, so make sure you check out the city’s culture. Everyone knows that Berlin is the hippest music and streetwear city next to New York, so make sure you take time out to check out the Berlin underground culture scene. Here are some tips of cool places to see and stuff to do. So still in the party mood after the show? Why not go to Ibiza! The show’s after party is organized by the people behind STM and Masters in Cash. This party will be legendary. Travel in style with a private charter from Berlin to Ibiza. When you land expect 3 days of VIP fun waiting for you, including a VIP rooftop party at the island’s exclusive club Ushuaia. More info here. So what a super, affiliate June you have. Enjoy it to the max, have fun, make loads of good business and meet great contacts!